Despite being a small island next to a giant country (parallels with Taiwan), Sri Lanka boasts historical sites, lush mountains, elephants, and beaches. The country is really special for travel; so special that I wrote two articles about it. I mean how many countries in Asia, especially small island nations, can you go on safaris to see elephants in the wild? 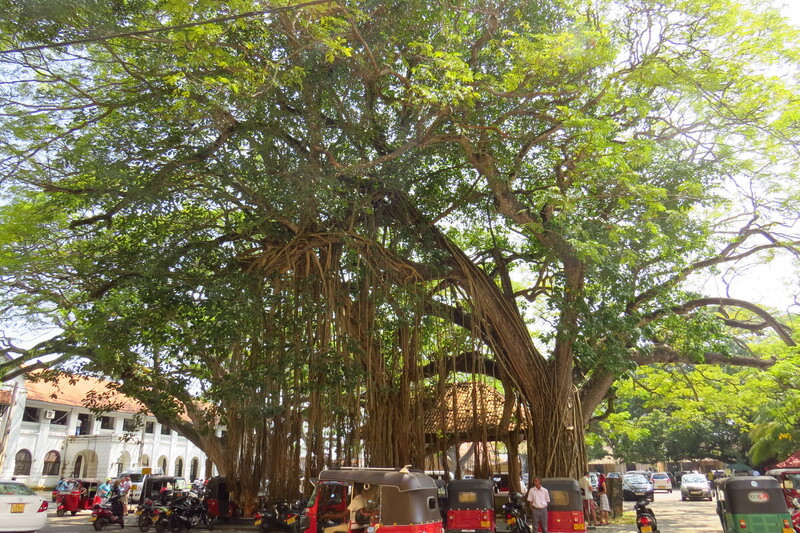 And the country’s historical sites include both native structures like the 5th-century mountain fortress of Sigiriya and the ancient cities of Poḷonnaruwa and Anuradhapura, as well as the Portuguese-Dutch colonial fortress of Galle. The latter was my first stop during my trip to Sri Lanka a couple of years ago. 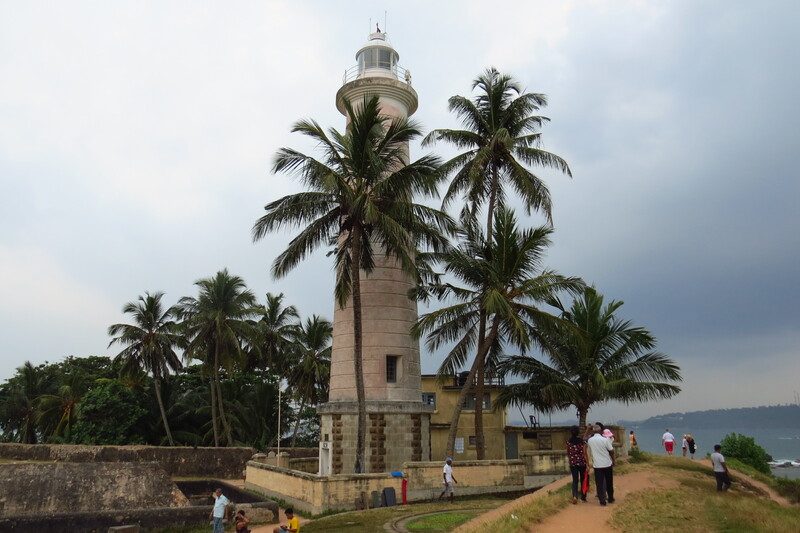 Located on the southwestern coast of Sri Lanka, Galle Fort is a UNESCO World Heritage Site that was built in the late 15th century by the Portuguese before later being expanded by the Dutch (who captured Galle from the Portuguese). It is the largest European-build fortress in Asia. 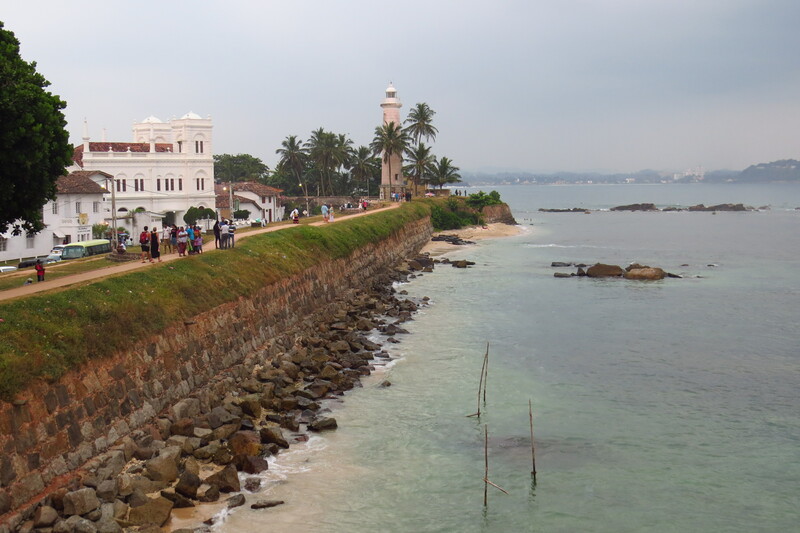 Guarding the bay of the town of Galle, the fort lies on a small peninsula and still is home to a residential community of locals and expats. 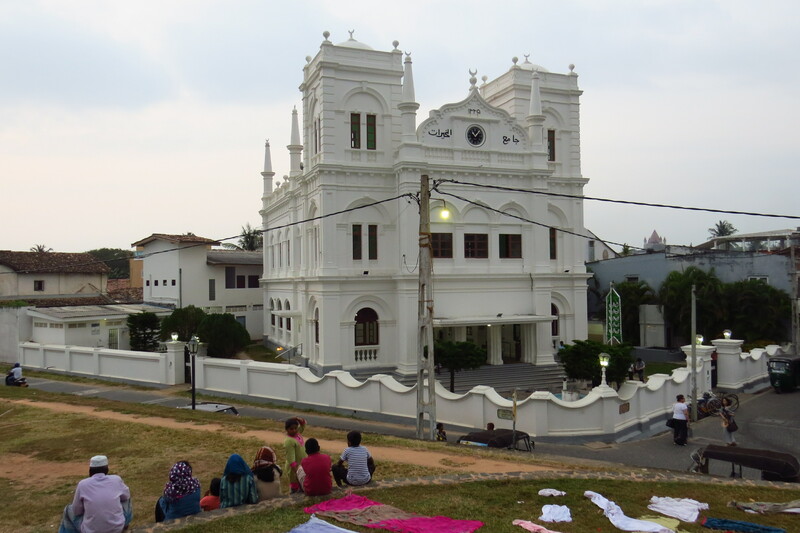 When you come here, you aren’t just looking at sea walls and gun emplacements of a historic fort, but museums, lighthouse, mosques, churches, shops and hostels. 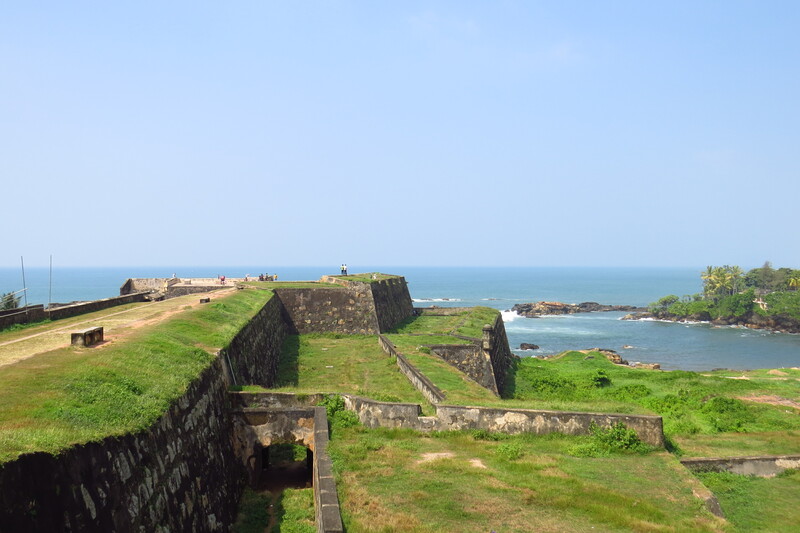 The sea wall of the fort is a great place to look out at the Indian Ocean, especially sunsets, but even better for walking the lanes inside the fort. That’s because the lanes are full of interesting colonial homes, many of which house shops, cafes, and restaurants. The most interesting building I came upon was the Historical Mansion Museum, a former colonial administrator’s mansion, which housed several rooms of antiques and a jewelry workshop. It is free though there is a jewelry gem store on site. If you are not interested, there’s no need to buy anything of course. I also made a quick visit to the Maritime Museum, which besides a mounted whale skeleton had a disappointing sparse collection. During my final months working in China, I took a couple of weekend trips including to Datong, in Shanxi Province. While Shanxi may be better known as the dusty, heavily polluted, coal-producing center of China, it is also one of the country’s oldest core areas of civilization. 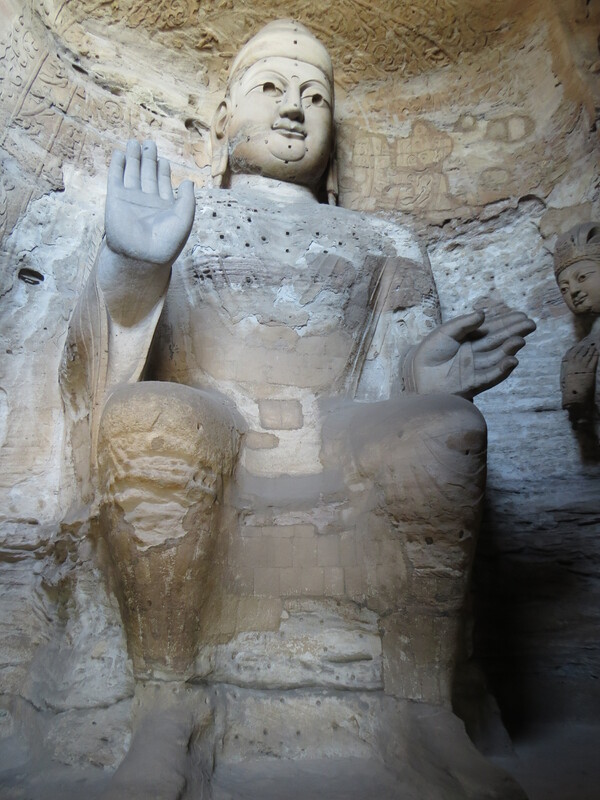 China’s coal city of Datong was a former capital of the Northern Wei dynasty, a Xianbei (Mongolian) regime which ruled much of northern China from 386-535 AD, from which was built the impressive Yungang Grottoes. 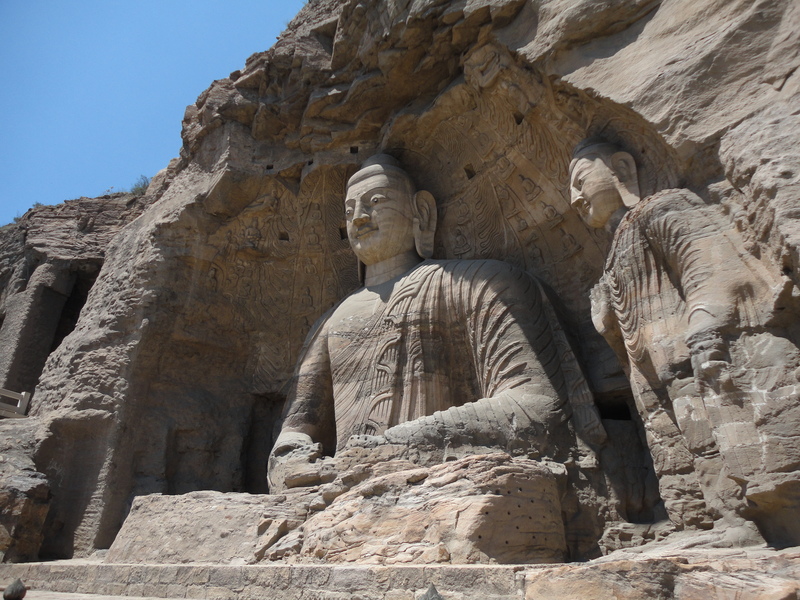 Yungang is one of the three largest and most famous Buddhist grottoes in China. The others include the Longmen Grottoes in Luoyang, Henan, which I’d visited a few years earlier, and Dunhuang in Gansu. 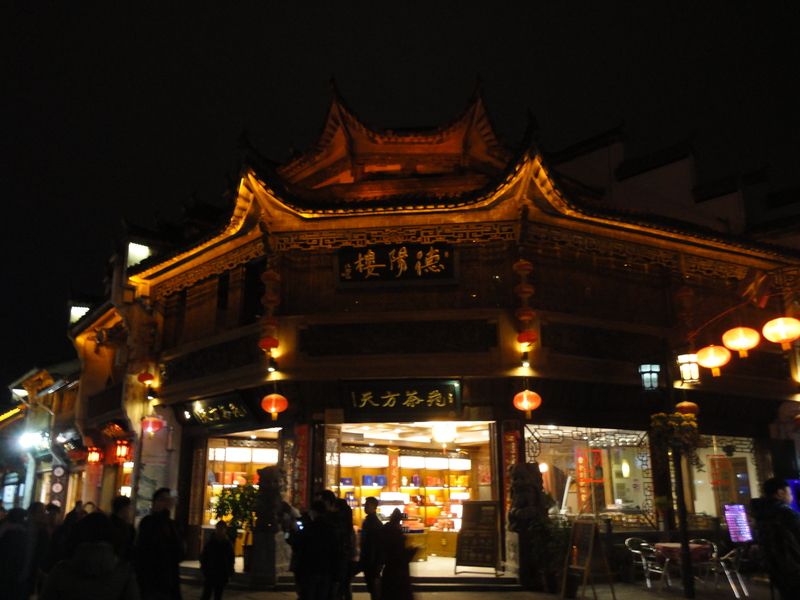 Datong also has a few temples, and a large city wall that was newly built to recreate the city’s old wall. 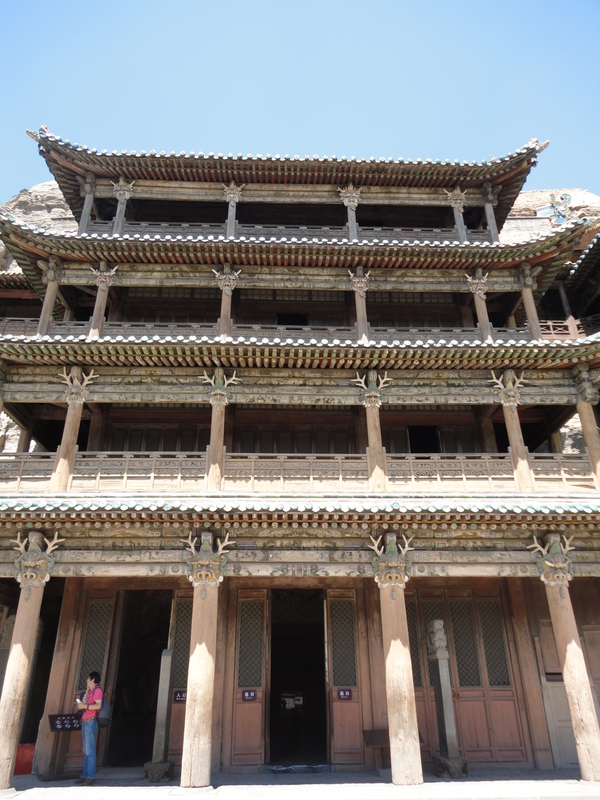 Further away from Datong is the Hanging Temple, a wooden Buddhist temple built on a cliff, and Sakyamuni Wooden Pagoda. I also wrote about all this for a newspaper feature about Datong. Yungang features dozens of caves and countless stone carvings of Buddhas cut onto the cliff walls of a mountain stretching from west to east. There are gigantic towering Buddhas, smaller human-sized ones and even tiny intricate carvings smaller than your hand. The most impressive are the number 7 and 8 caves, the entrances of which are enclosed by multi-story wooden structures. The caves feature giant Buddhas, walls filled with intricate stone Buddhist figures, and cave ceilings painted with colorful murals of scenes from Buddhist legends. It is an impressive sight, as are the giant Buddhas on the outside further down. 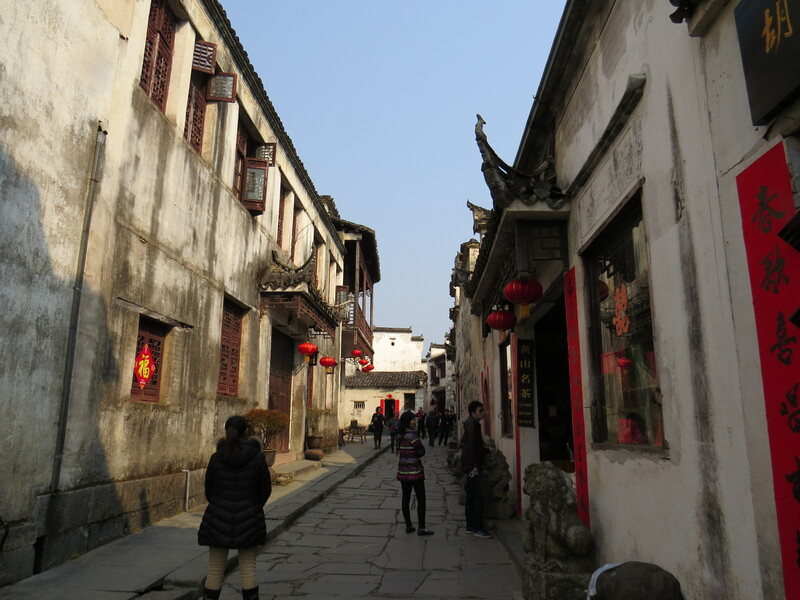 One of two old UNESCO World Heritage Site villages near Huangshan, Hongcun is the most attractive Chinese village I’ve ever been to (not that I’ve been to that many, but trust me, it is beautiful). 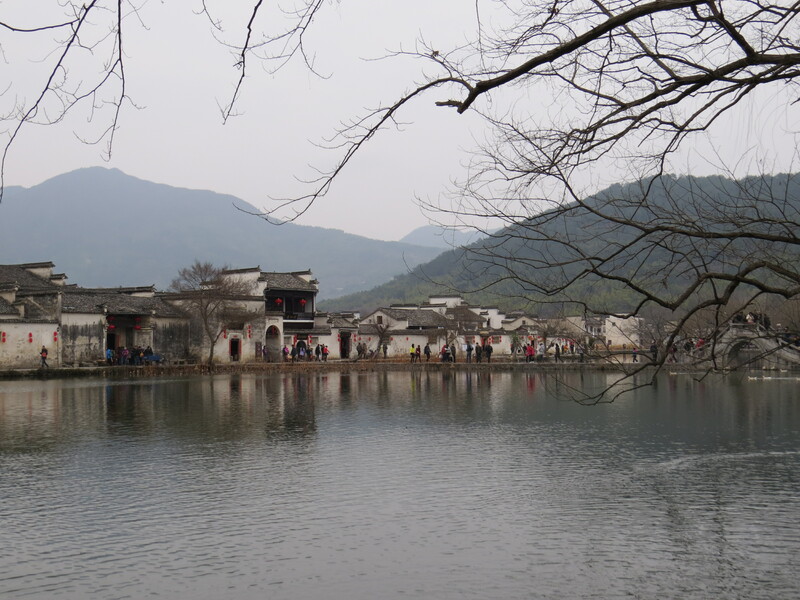 Situated next to a stream, with a small lake in front of it and a pond within it, Hongcun is also where scenes from Crouching Tiger, Hidden Dragon were filmed. In real life, the village is just as scenic, and you’ll sometimes see Chinese art students sitting across from the lake painting the village. 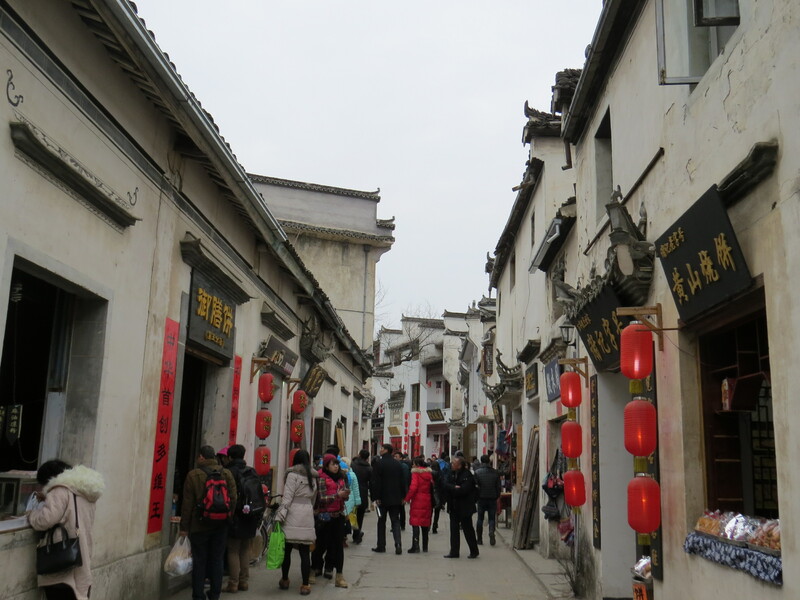 I went to Hongcun on a cold, overcast morning on the last day (having gone to Xidi, the other World Heritage village in the area on the first day) of my Chinese New Year trip to Huangshan a few years ago. 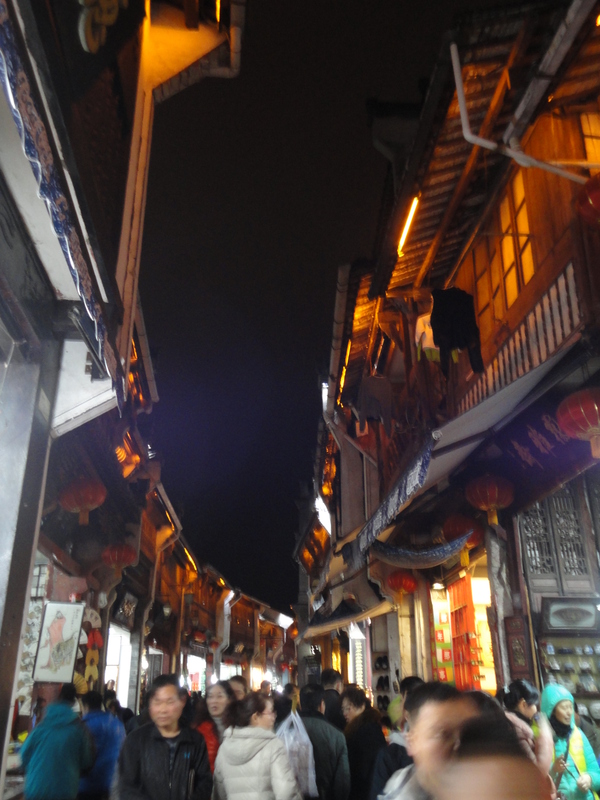 Unlike Huangshan, the village was not too crowded with tourists, which was a good thing because it is full of narrow alleys. 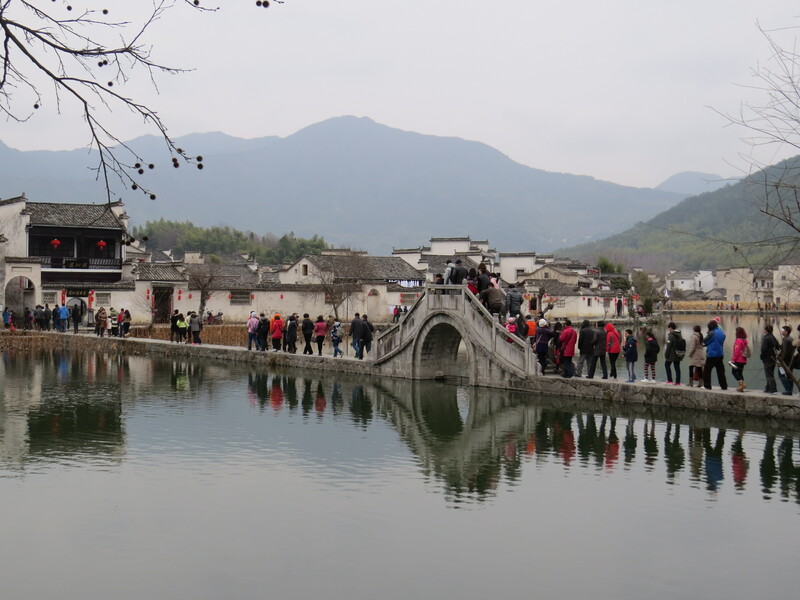 To enter Hongcun, you cross a narrow stone bridge with an arch in the middle and no rails (so be careful! 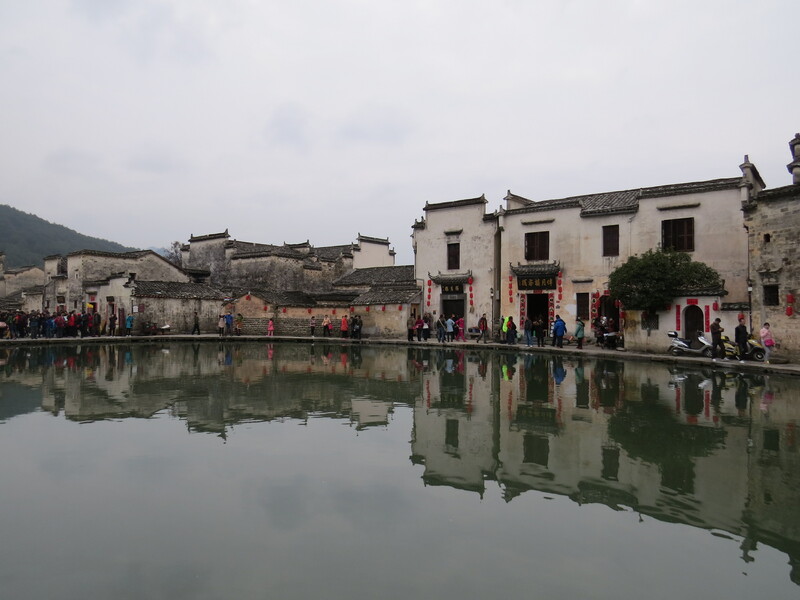 Or you can just walk around to the side of the lake) into the actual village and its lanes of traditional and well-preserved black-roofed white houses, examples of Huizhou architecture. 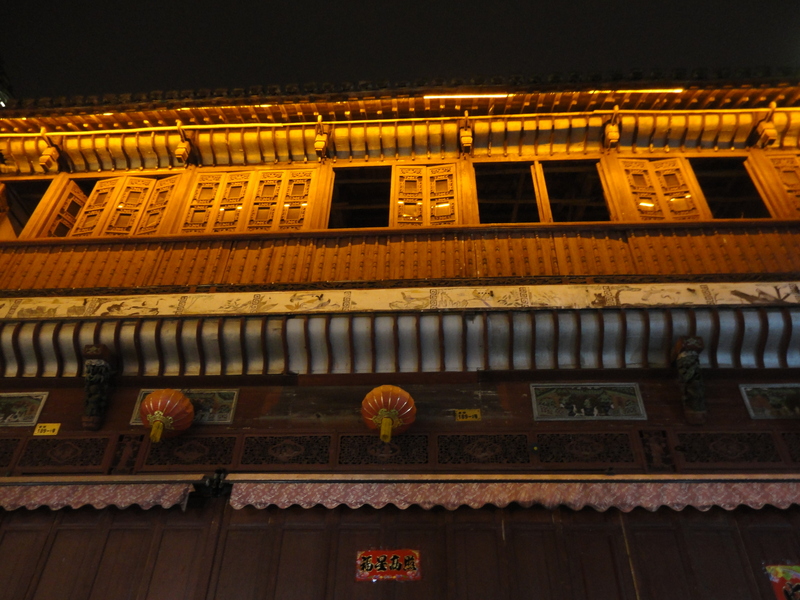 Many of these were built by wealthy merchants and officials during the Ming and Qing dynasties which the size, design and workmanship, such as wooden frames and carvings, attest to. Several of the larger houses feature open courtyards with ancestral halls featuring portraits of illustrious ancestors and wooden frames. When you get to the middle of the village, you’ll reach the Moon Pond, and the sight of old houses and their reflections on the pond is an incredibly photogenic sight. It is also exactly where one of the Crouching Tiger, Hidden Dragon scenes was shot, specifically the part where fighters are gliding across rooftops and leaping onto water while duelling with each other. There was a small meat market behind held that morning by the pond, which certainly didn’t seem like it was for tourists, while dried pork flanks, split-open fish and ducks hung right in the open on the walls of a few nearby houses. 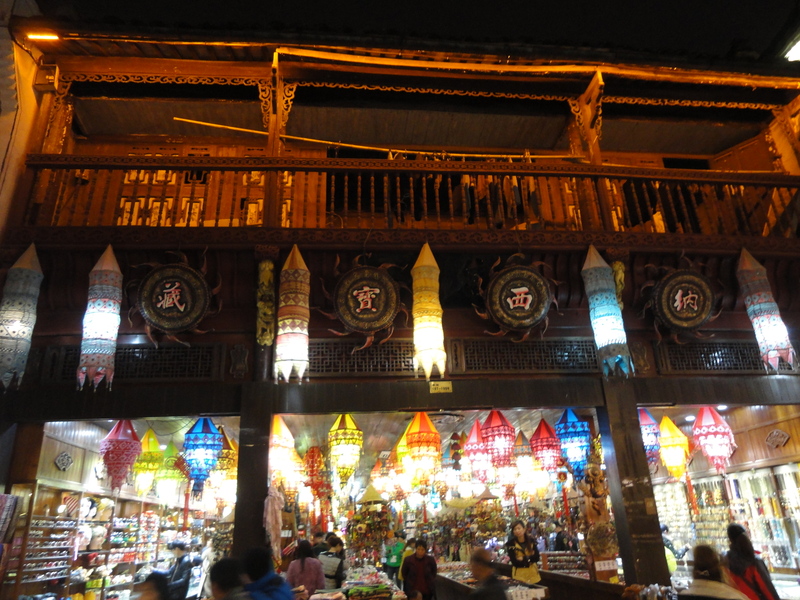 Those were reminders that Hongcun, as with Xidi, is a living community despite being a tourist hotspot. 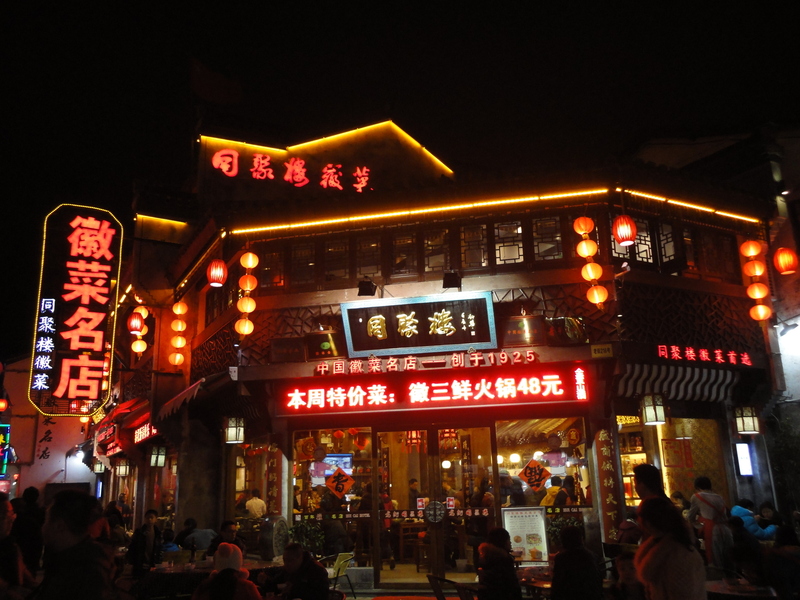 That’s not to say there aren’t many villagers who’ve opened restaurants or sell souvenirs and local food specialties, but it isn’t as over-the-top as many other Chinese tourist areas. It’s been a few years since I was there so I hope it remains so. Traditional pastries on sale. I think I bought some of this. 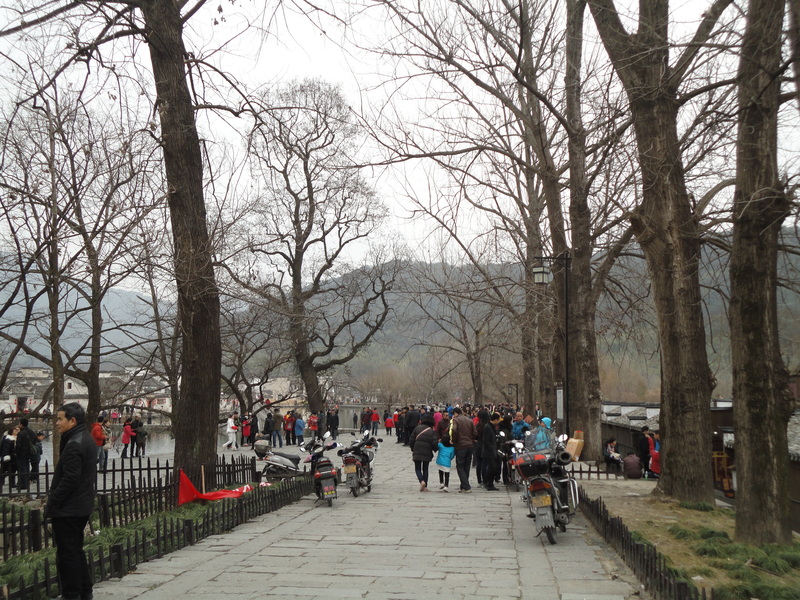 Huangshan may be the most famous attraction of Anhui, but it is not the only interesting one in the area. 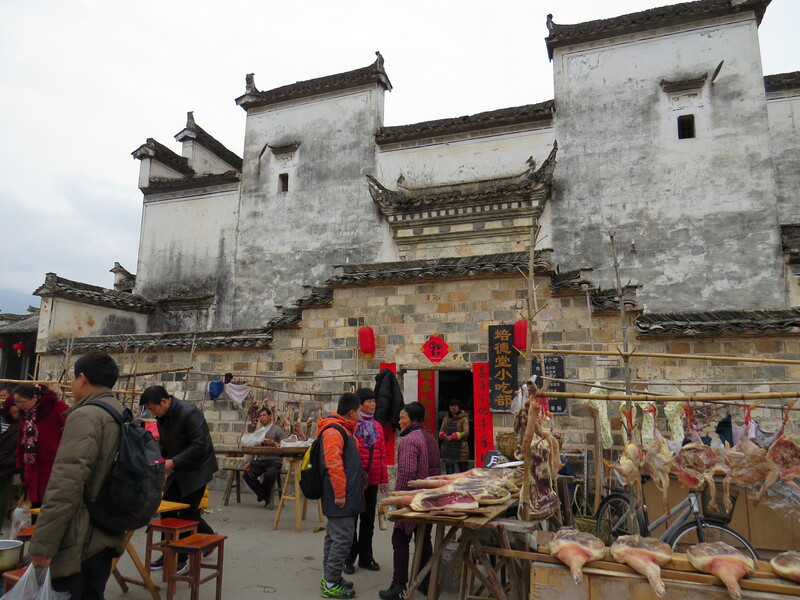 The surrounding villages, whether it be the traditional villages of Xidi and Hongcun, both UNESCO World Heritage Sites, or even Tunxi, known mainly as the area’s tourist hub but with a great ancient street, are also very much worth a visit. 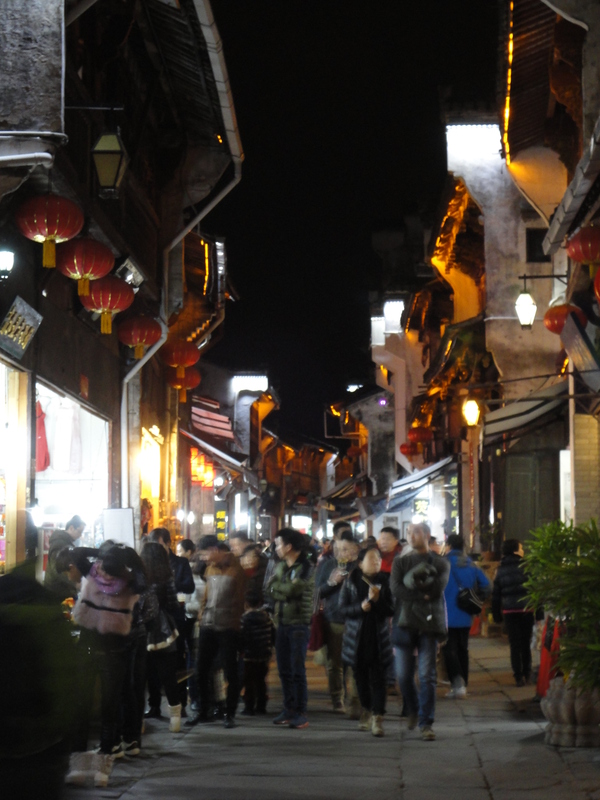 The reason why there are so many preserved historic villages around Huangshan is because this area used to be home to prosperous merchants who thrived during the Ming and Qing dynasties (14th-20th centuries). 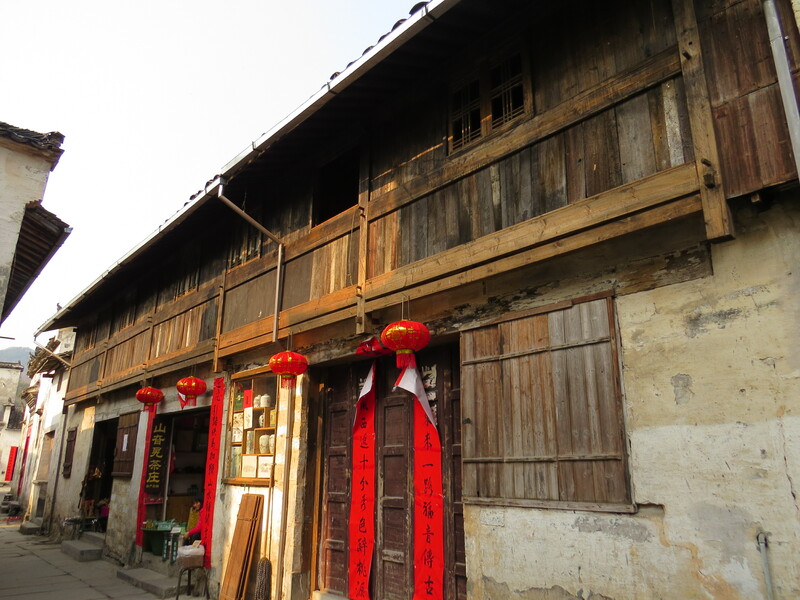 With over 600 years of history, both Xidi and Hongcun boast lanes filled with traditional homes, including large houses with massive halls and two-storey high ceilings, which no doubt belonged to the wealthier merchants. In these villages, the majority of old homes have been preserved with little or none modern houses. 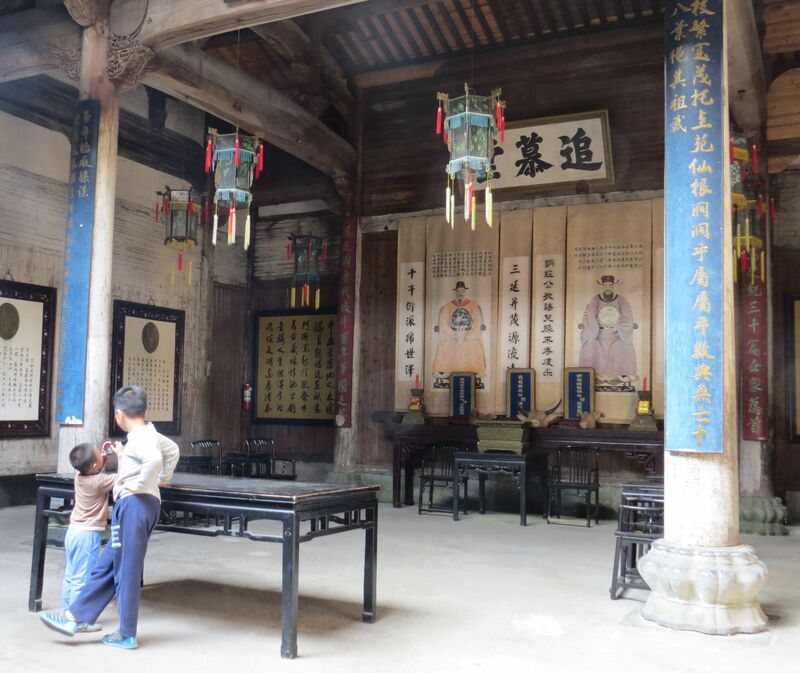 But far from being deserted relics or over-touristy theme parks, Xidi and Hongcun are both thriving communities with people living their daily lives while tourists come and go. 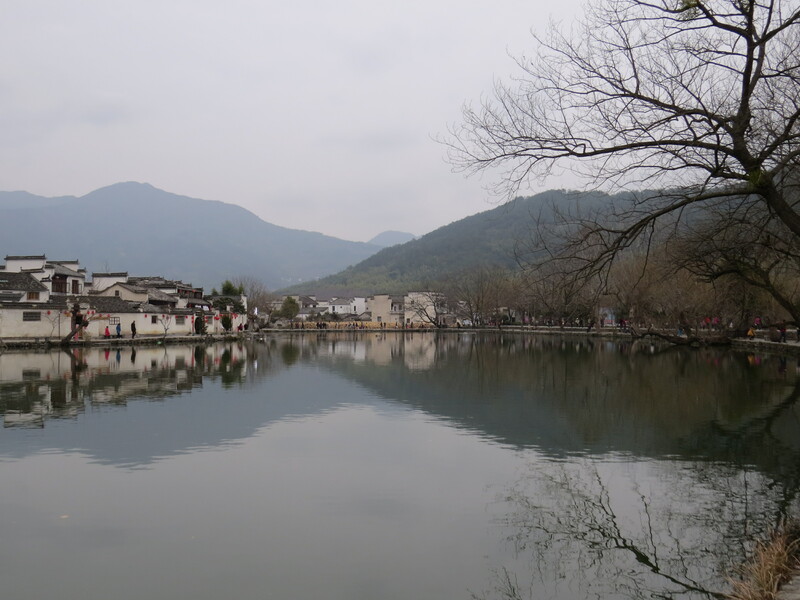 Both are attractive places but Hongcun really stood out for me with its small lake and arched bridges fronting the village and a pond within, the combination of old homes and water resulting in some very gorgeous scenes. So magnificent that a scene from Crouching Tiger, Hidden Dragon was filmed there as well. 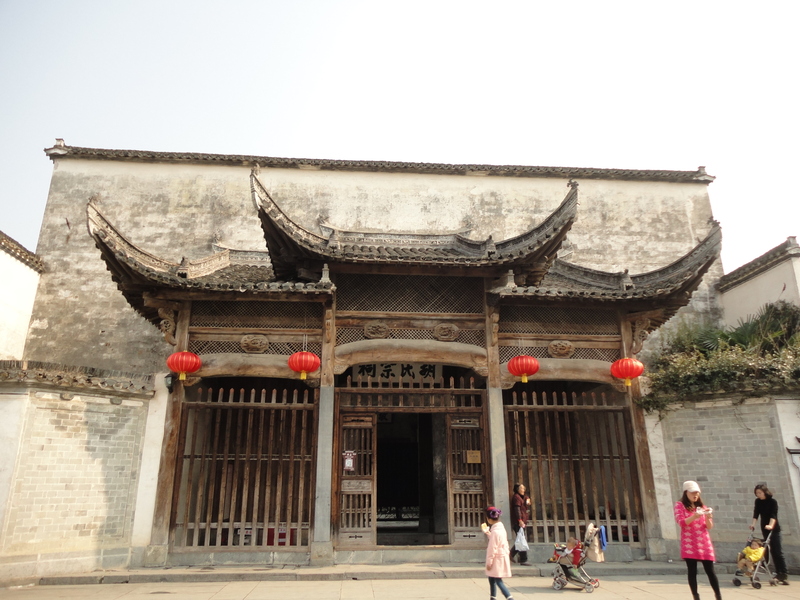 Hongcun is so beautiful that I’ll devote another post to it, so let’s go on to Xidi and Tunxi. 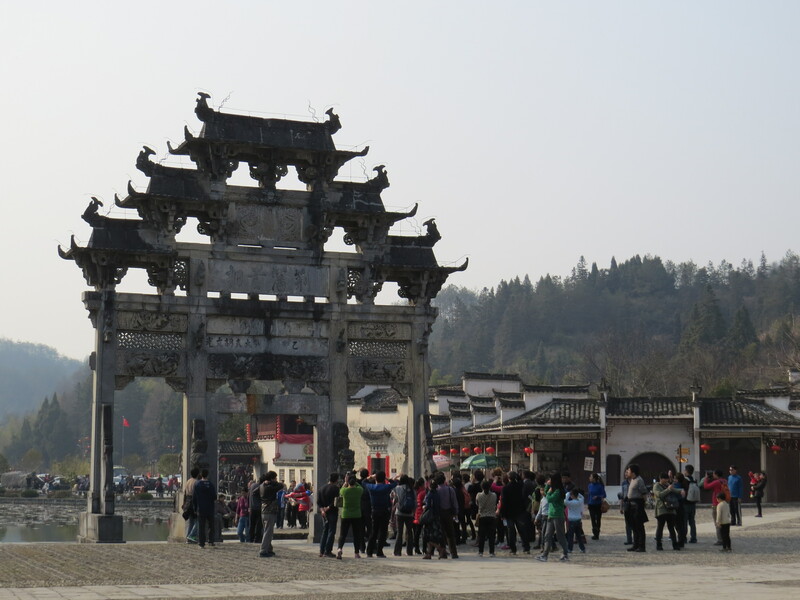 Xidi was less spectacular, but it also features a famous landmark – a high 3-layered stone paifang (traditional Chinese gate) at the entrance next to the pond bordering the village. 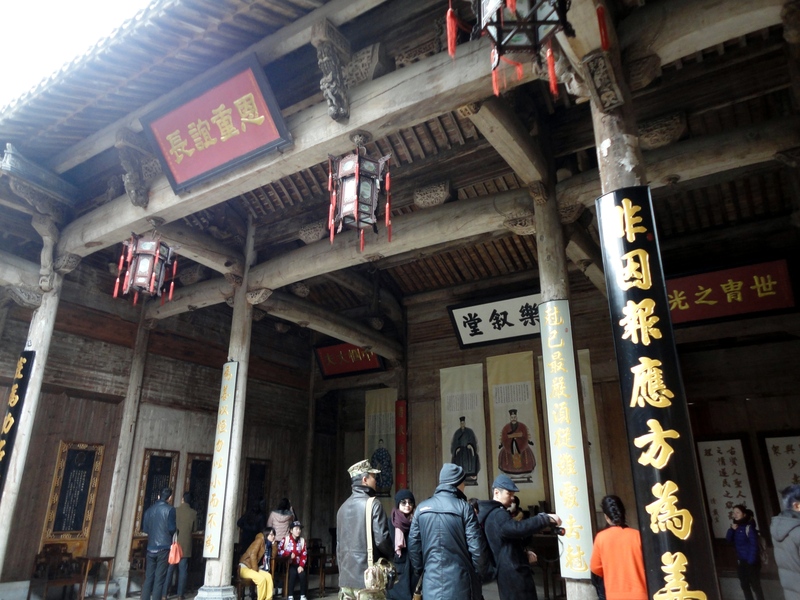 Walking through the paifang takes you into a series of narrow lanes among which are several impressive compounds with giant open courtyards, wooden halls and ancestral tablets and paintings of illustrious ancestors. But even the “regular” buildings are attractive to look at, especially as they all feature curved upswept eaves and black tiled roofs, both distinctive architectural features in the region. Getting there from Tunxi takes an hour by public minibus, which I took, but as it was during the holidays, I couldn’t get one back so I got a “black cab” minivan with a few other people, including a Cantonese family (one weird thing is I always run into Cantonese people when I travel in China). Tunxi is where I got off after coming from Nanjing by sleeper train as that is where Huangshan train station is location. Back then (2014), you could only get there by the regular slow train but they have since built a high-speed station, also in Tunxi. 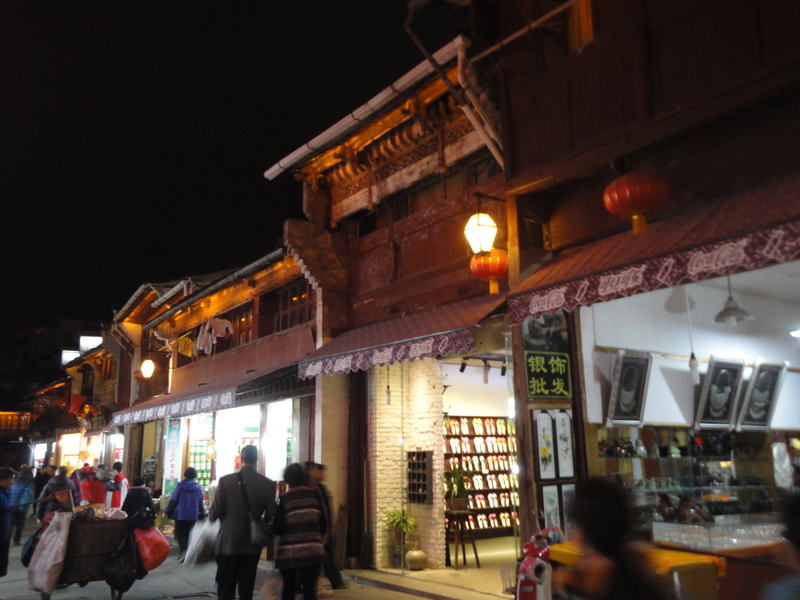 While the town is for the most part a hub for getting to Huangshan and not too special, it boasts an attractive old street with a lot of traditional wooden buildings. Many have been converted into stores and restaurants, but a number of them are still homes, as indicated by the dried fish or laundry hanging by the windows. Most of the stores sold souvenirs, while there was one that sold ethnic minority goods and another that sold faux Maoist stationery. Some of it was a bit too gaudy as Chinese tourist areas can be, but it was still a nice walk at night. With Chinese New Year coming up in just a few weeks, it’s fitting I should finally write about my first Chinese New Year in China in 2014. 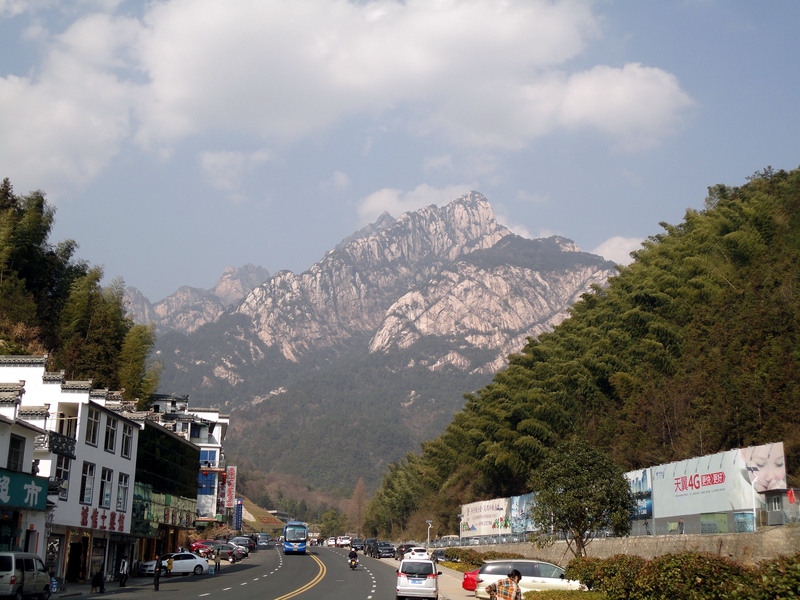 Back then in Beijing, I made a spontaneous decision one week in advance to travel to somewhere in the country, specifically Huangshan, one of China’s most famous mountains. In hindsight, it was a foolish decision and I learned my lesson not to travel to places at the exact same time as multitudes of Chinese. But, the trip was still kind of good. 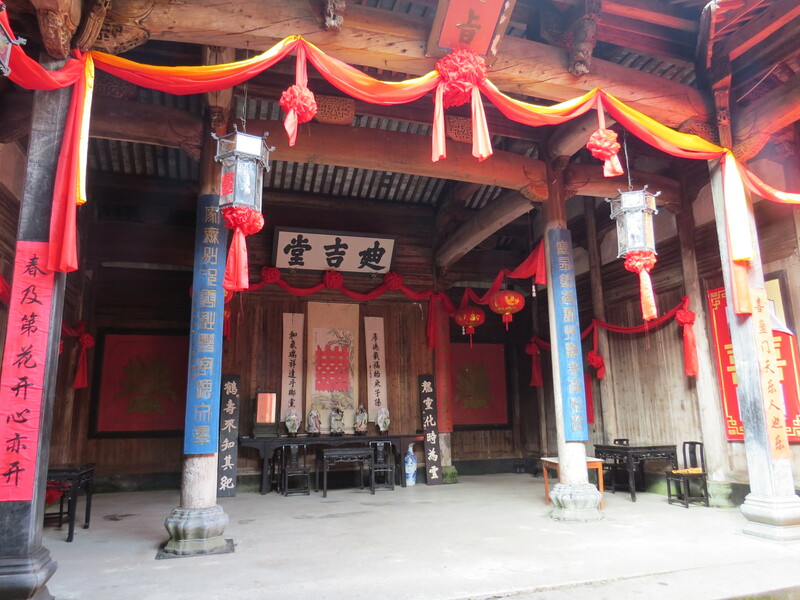 I didn’t go all the way to Anhui from Beijing just to visit Huangshan, but also Xidi and Hongcun, two grand old villages in the area that are also UNESCO World Heritage sites. 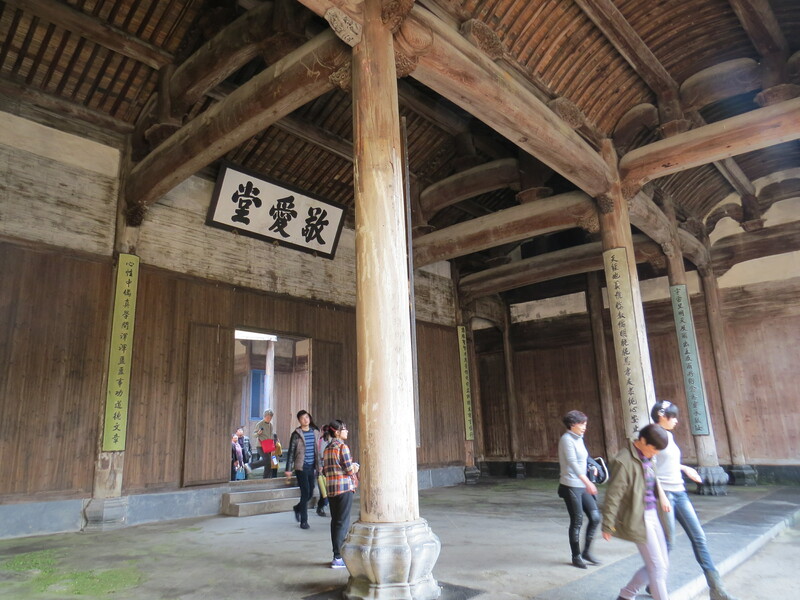 Hongcun is especially beautiful, and scenes from Crouching Tiger, Hidden Dragon were shot there. I had long wanted to visit Huangshan, one of China’s most beautiful and famous mountains, its mist-covered slopes and pine trees a familiar image in countless photos and paintings, and its beauty paid tribute to in poems. 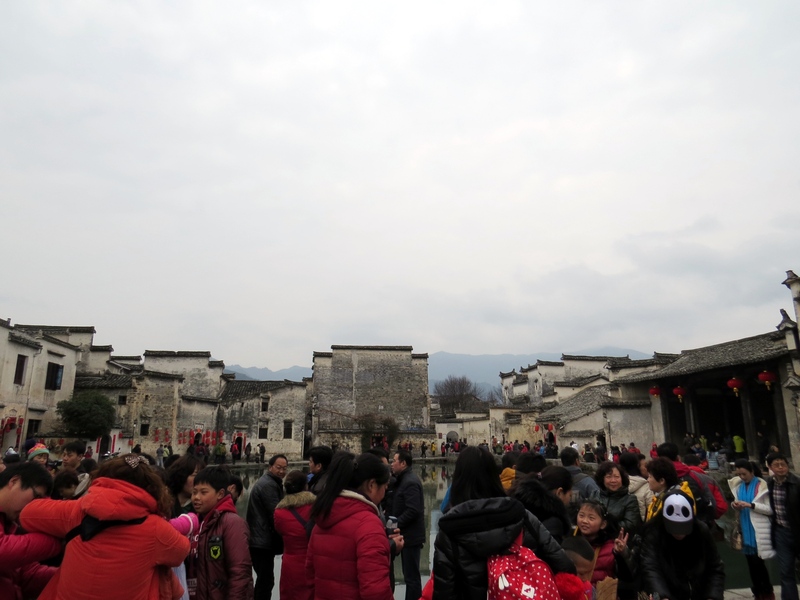 So when the New Year holiday came up and as I wasn’t going overseas, I decided to go to somewhere in China, thinking that the crowds would not be as bad as during the National Week in October (I was told this by at least one acquaintance as well). I deliberated between Shanxi (Pingyao and Datong) and Huangshan and the latter won out. 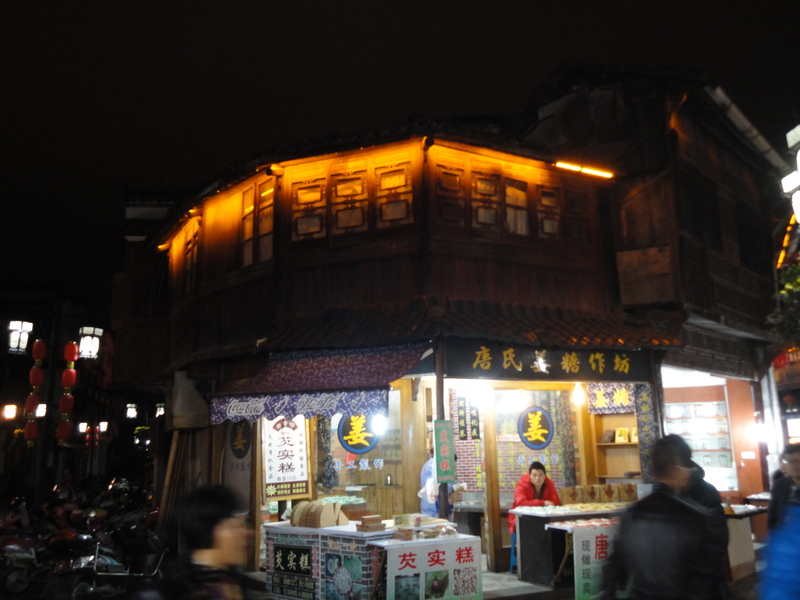 However, I was going to spend several days in the area, which meant staying in Tunxi, a small town an hour away from Huangshan. Getting to Tunxi meant taking a high-speed train from Beijing to Nanjing, then taking a sleeper from there to Tunxi. Situated in Central China, Anhui is probably best known, besides Huangshan, for being the setting of The Good Earth by Pearl Buck. Set in 1930s China, this novel follows the hard struggle of a peasant amid poverty, war and instability as he tries to move up in life. While China, and the province, has long moved on from those terrible times, largely agricultural Anhui is still one of the country’s poorer provinces despite having rich neighbors like Jiangsu and Zhejiang provinces. Many migrant workers in the country, especially in Shanghai and Beijing (I also had a couple of colleagues and friends from there, though they weren’t migrant workers) hail from Anhui. However, Anhui is also the ancestral home of former Chinese President Hu Jintao and current Premier Li Keqiang. 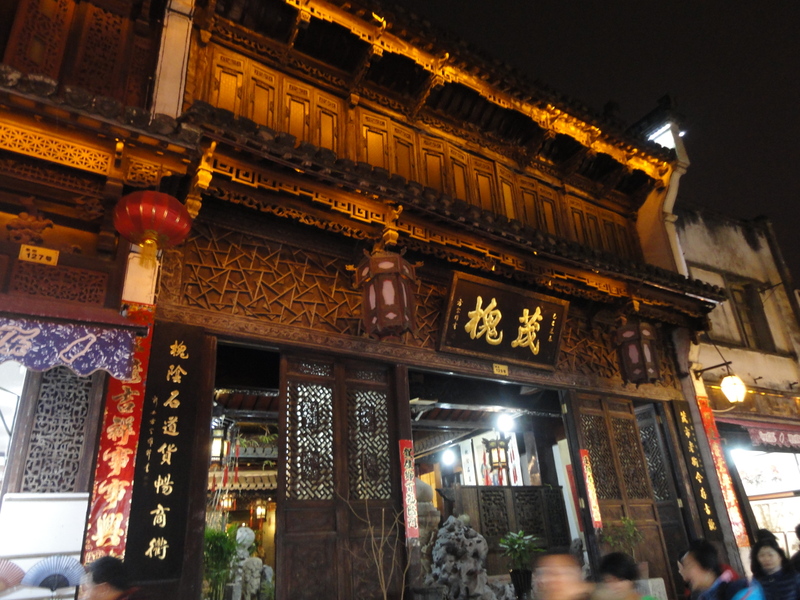 But Anhui’s earthy reputation belies an interesting cultural heritage (Huizhou) that culminated in a distinct regional architectural style with black roofs and impressive wooden designs, which Xidi and Hongcun both feature some good examples of. My trip was eventful even before it actually got underway because when I got into Nanjing, my favorite Chinese city actually, in the afternoon, I tried to find a bus to Tunxi but there wasn’t one since it was Chinese New Year. I then booked a ticket on a sleeper train but I had several hours to kill. As I wasn’t feeling to sightsee, I went to book a room at a nearby hotel. But what was supposedly a straightforward task turned out to be a jarring shock because I was turned away from several hotels because their system didn’t allow Hong Kongers (I’m one by virtue of birth and ID card) to book hourly rooms. I’d heard of similar experiences happening to Westerners when trying to book a regular room but I didn’t think this could happen to Hong Kongers as you know, being part of China. But finally I found one where the boss told his receptionist to let me stay, saying “it’s New Year, let him in,” displaying a fitting holiday generosity that was glaringly lacking from all the other hotels’ staff. The train trip was straightforward and I got into the town in the morning, taking a taxi to my hotel, with the driver refusing to use the meter because “it’s New Year.” I went to the village of Xidi that first day, then went to Huangshan the next by a one-hour bus to Tangkou, a tourist village at the foot of the mountain. It seemed I arrived too late despite it being early afternoon, I learned that crowds would mean going up by cable car would take hours. My plan was to take the cable car up and hike around the paths on top because that was where the views were. I had a decision to make – return to Tunxi and come back the next day bright and early, or stay in Tangkou for the night, thus paying extra for another hotel. I chose the latter because I wanted an early start. 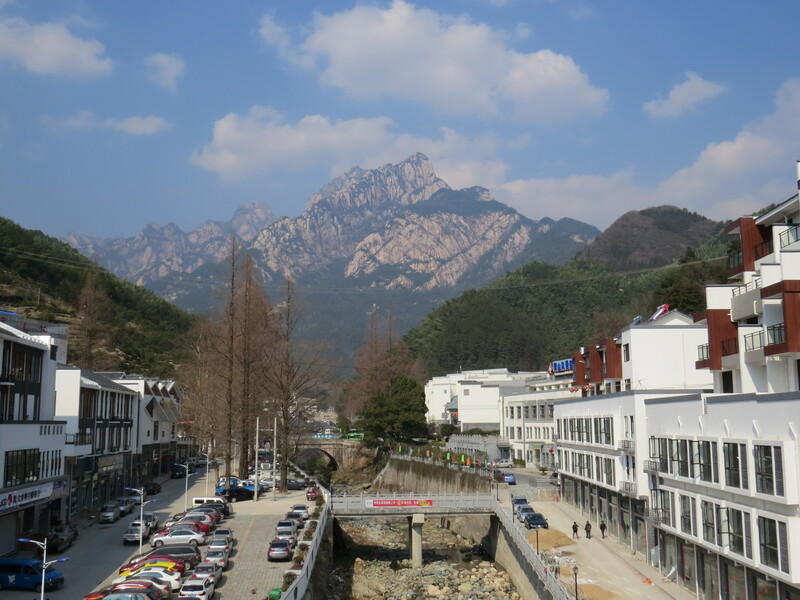 After I found a hotel, I took a walk through the village which provided some fantastic views of Huangshan from the ground. I did get that early start but apparently 6 am wasn’t early enough, because when I left my hotel at that time the next morning, I found the street filled with other tourists making their way to the car park to take the bus to Huangshan visitor center (from there, you then hike or take the cable car up the mountain). The car park itself was filled with people and the lines were crazy. Eventually I got into one and after what felt like an hour, got into a bus. That felt like a relief, but it was temporary because when I arrived at the visitor center, I saw even more people than there were at the car park! When I approached the cable car station, the line was so long it started from the second floor or the station and extended downstairs and outside. As before, my plan was to take the cable car up so I could hike around the top. With no choice now, I would have to hike to the top and hope I had enough time and energy to walk around the trails on the peak. 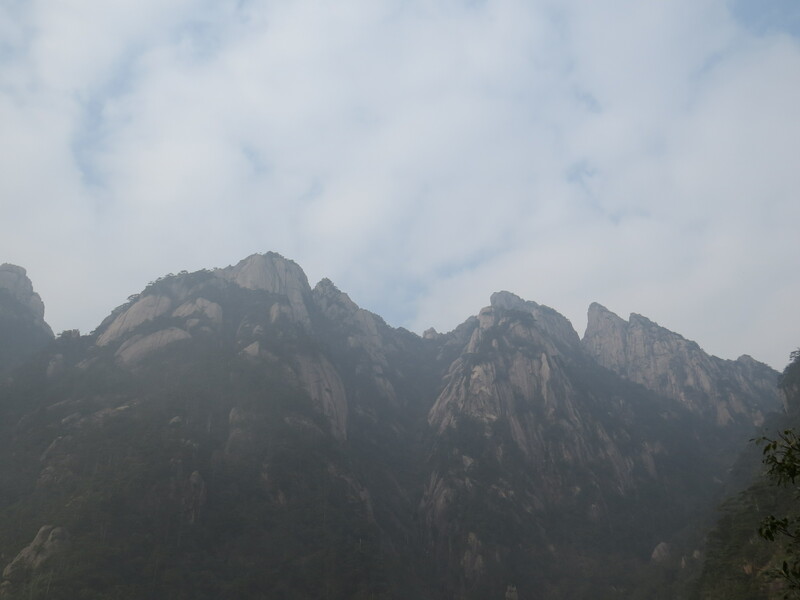 As Huangshan is not that high, it took me about two and a half hours (fitter people can surely do it in less time), and while I was traveling solo, I was accompanied by dozens of Chinese. Some were in tour groups while others were with friends or family, and noone seemed to be hiking solo like me. Being in China, some of those folks just couldn’t keep quiet so there was a constant chorus of shouting, yelling, and throat-clearing, as well as music playing on little portable radios that some older hikers in China and Taiwan like using. The nearer I reached the top, the better the views got and I was able to get a glimpse of the much vaunted peaks with clouds that Huangshan is famous for. It is a beautiful mountain up close, not just from afar, with its forested slopes and rocky granite peaks. Along the way, you’ll pass well-known rock formations and trees, such as the first photo on top, and these are even named, for example, “God Points Road” and “An Immortal Pointing the Way” (probably sounds better in Chinese). But when I got to the top, I realized there was a lot of people there as well. I continued walking and got onto a trail, figuring the crowds would thin out along the mountaintop. But no, everywhere I went there were people, and the trails were so clogged, it was impossible to pass people. After continuing for over an hour, the sheer congestion meant I couldn’t make a circuit of the trail, and also I’d have to hurry back to the cable car station if I wanted to make it down by mid-afternoon. I hadn’t planned to stay another night in Tangkou as I wanted to get back to Tunxi. I wish I had been able to hike around the paths on top and I feel I will return to do just that in future. 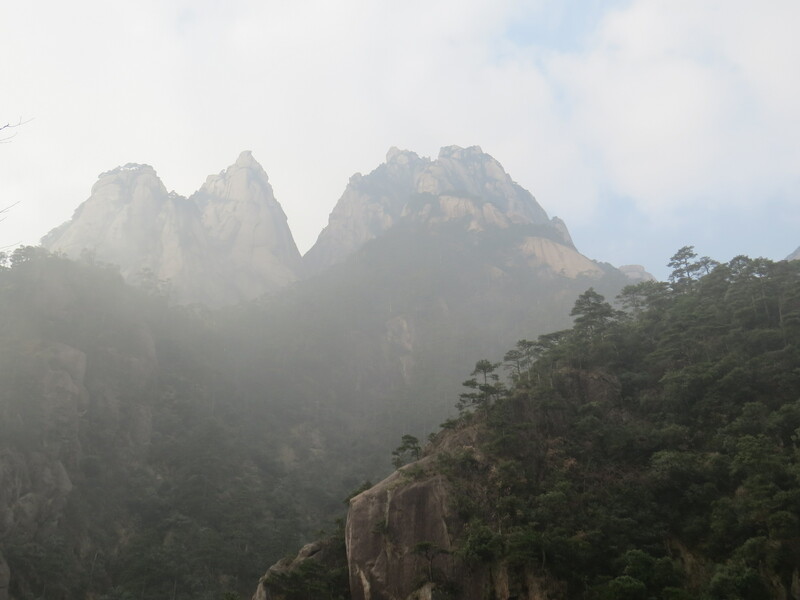 Huangshan hasn’t seen the last of me yet! 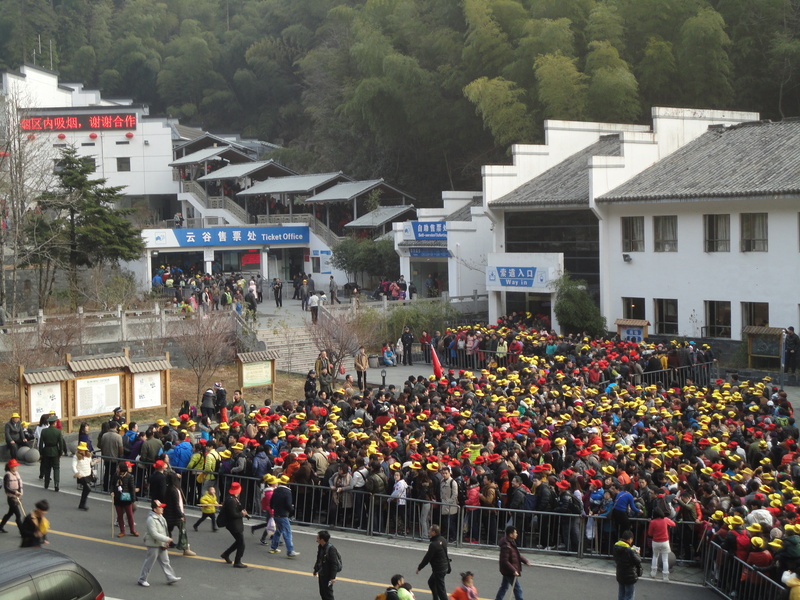 Lineup for the cable car at the foot of Huangshan, at 8 am. No way was I going to endure that, so I chose to hike up instead. The hike up was pleasant in some parts. The higher I got, the better the view as the mountaintop started appearing. 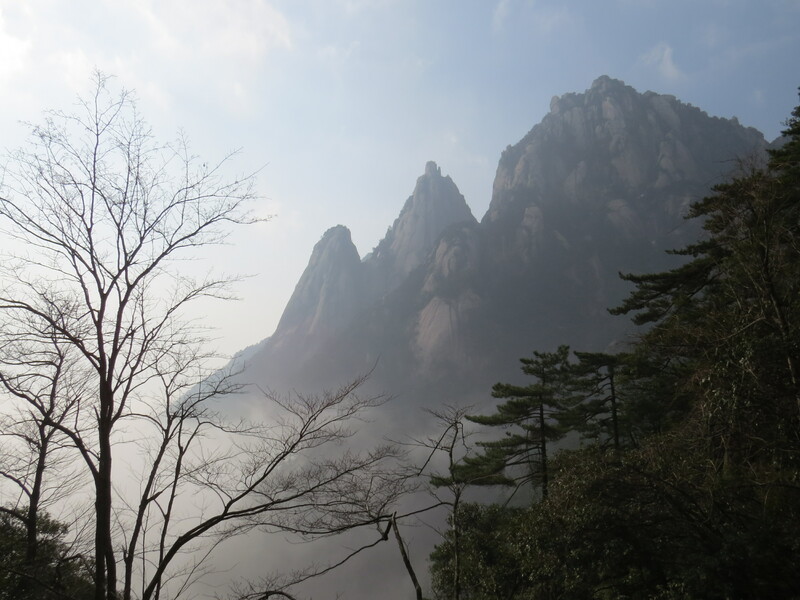 There was a bit of the sea of clouds for which Huangshan is famous for.